Peter Franklin is Professor of Music at the University of Oxford and a Fellow of St Catherine’s College. His books include Mahler: Symphony no.3 (1991), The Life of Mahler (1997), and Seeing Through Music: Gender and Modernism in Classic Hollywood Film Score (2011). 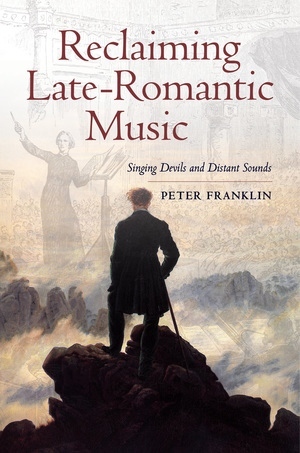 "Franklin is direct about his own love of late-romantic music; he sets off to explain, in part to us, in part to and for himself, why. In the process, he ranges widely into historical music criticism, the history of musicology, performance history, and social and cultural politics. He examines this music from the perspective of its own time, as well as ours, and along the way he astutely and in detail speaks to the music’s rhetorics: how and why it pleases. Not least, he meets head-on the implicit and explicit class consciousness informing discourses about musics of mass appeal. He pays particular attention to the fear, paranoia even, among modernists of many stripes throughout most of the last century that if audiences--mass audiences especially--liked such music then its aesthetic shortcomings were perforce the more certain. Franklin has sorted through impressive piles of print criticism, producing an enormously insightful archeology of this unfortunate ideology. The writing is fresh and focused; the insights are both original and important."